Five minutes with a Chicago expert: what's new at Hyatt Regency Chicago and how do they stand apart? Boasting a coveted address near top Chicago attractions such as Navy Pier, Millennium Park, and Grant Park, the Hyatt Regency Chicago is the largest Hyatt property in the world. Afternoon meetings to week-long conferences, let the Hyatt&apos;s team of experienced planners, innovative technology, creative catering, and a meeting concierge handle the heavy lifting. Hyatt Regency Chicago Marketing Manager, Patricia Kanke, shares an inside look at the hotel&apos;s meeting services and perks. Q. 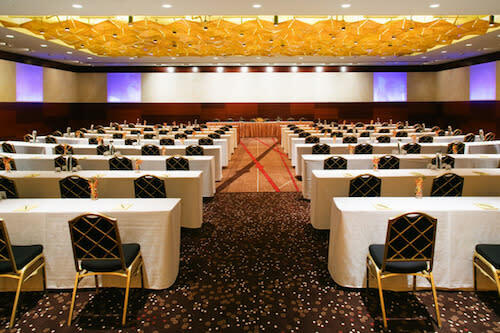 What makes Hyatt Regency Chicago stand apart from other nearby meeting venues? A. We have over 228,000 square feet of flexible meeting space (and growing! ), so we offer the opportunity to grow with you as your event needs change. We have fresh, new lobby space that allows the perfect spot for after meeting networking and socializing. Our lobby is inviting, modern and allows for a unique way to connect with your colleagues. We offer complimentary state-of-the-art Internet in our sleeping rooms and public areas. Q. 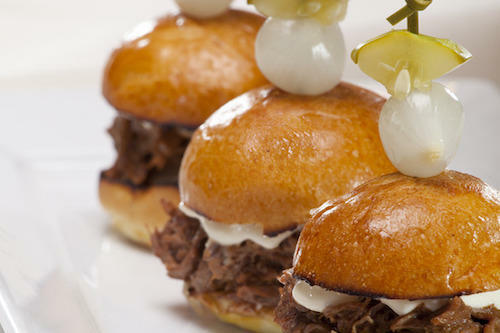 Describe Hyatt Regency Chicago&apos;s unique catering or meeting services. A. Our seasonal menus using locally sourced products allow for guests to experience more than just the basic catered meal. We adhere to the Food. [Our] Thoughtfully Sourced, Carefully Served corporate platform provide[s] food and beverages that are good for our people, or planet and our communities. Our Personal Preference menus allow you to make any event an intimate function. With Personal Preference, the event attendee is given an appetizer, soup, salad and dessert—and they choose their own entrée. A unique menu that fits the needs and wants of the attendee. Q. How can your Event Specialists help execute the perfect event or meeting? A. We have senior staff that are extremely knowledgeable about industry trends and [that] in turn allows us to create a unique meeting or events. Our staff is enthusiastic about each event and can create custom meeting sets or recommend distinctive looks that can transform meeting or event space to reflect exactly what the meeting planner envisioned and more. Connect with a Hyatt Regency Chicago meeting specialist and plan your meeting today.